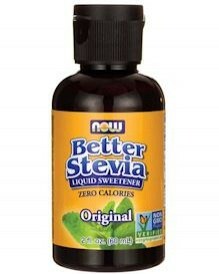 NOW Foods Better Stevia Liquid Sweetener Original 2 fl. oz. 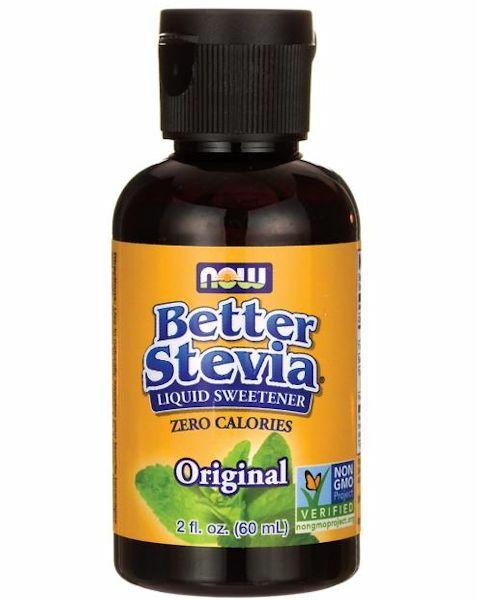 This product is recommended for any no- or low-sugar diet plan, as it does not raise blood sugar. Other Ingredients: De-ironized dwater, certified organic stevia extract (stevia rebaudiana) (leaf) and 11% alcohol.